A new year means new resolutions. For me, this involves reviewing my bucket list to see what I managed to tick off last year, and how I’m going to challenge myself in the coming months. This year, I started thinking about what bucket lists and resolutions really mean. So many of the things we list on them are associated with being carefree which, rightly or wrongly, is linked with being young – from going to a festival to jumping out of a plane to getting a tattoo. A tattoo is the type of thing I might have advised my 17-year-old self against. But now, in later life, I think it’s just one of the wonderful ways women are becoming bolder, taking risks and doing it because, why the hell not! 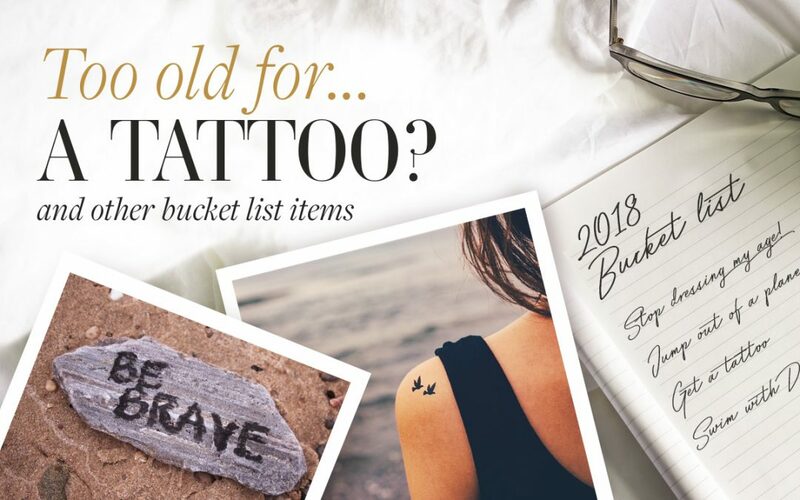 Many women are showing that age is no barrier when it comes to ticking a tattoo off your list. Just look at Judi Dench who marked her 81st birthday by getting her first tattoo, while Susan Sarandon got herself inked at the age of 60. I often talk about making bolder fashion choices, but it’s only the tip of the iceberg. The bigger conversation is around the industry becoming bolder and pushing the boundaries of diversity – diversity of age, size, ethnicity and more. And I do think the tide is turning. 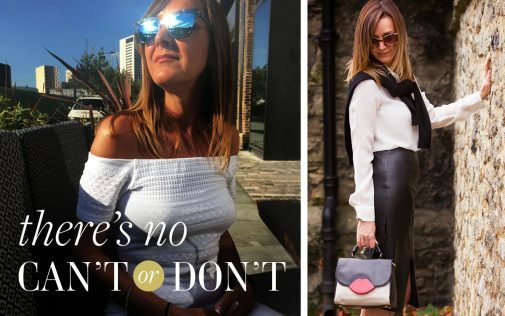 It was the year that Allure magazine called out the term ‘anti-ageing’, and possibly when we saw more older models on the catwalk than ever before. Of course, we still have some way to go but I’m hopeful that 2018 will be the year we see the good work continue. On the theme of resolutions, I’d love to hear what 2018 holds for you. Whether you’re looking to make a change, or your resolve is not to make any changes at all, ping us a note at info@theposhrock.com or head to our social channels @theposhrock. While I’m all for seizing the day, if you’re not feeling brave enough just yet, why not treat yourself to a trial period? Inkbox is a two-week temporary tattoo that gives you the chance to see if tattoos are for you! A try-before-you-buy if you will. You can pick from their collection of designs, make your own custom design or even get a bottle of their ink for you to freehand to your heart’s content!